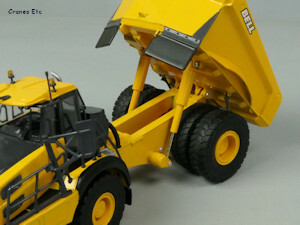 USK Bell B60E Articulated Dump Truck review added. USK Bell B45E Articulated Dump Truck review added. Cranes Etc 15th Anniversary Competition winners added to the Fan Page. 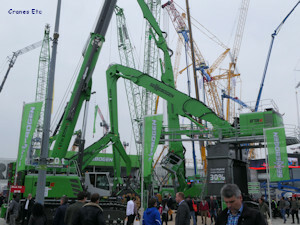 New Editorial: Bauma 2019 report added. Buffalo Road Imports added to the Shopping Mall. WSI Volvo R100E Rigid Dump Truck review added. The Cranes Etc 15th Anniversary Competitions are now closed. The correct answers can be seen on the Fan Page. WSI Tadano ATF 70G-4 Mobile Crane - Gruas Aguilar review added. WSI Scania Streamline + 3-axle Trailer - Midtstøl review added. 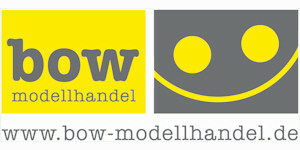 New Editorial: Ede Model Show 2019 report added. Cranes Etc celebrated its 15th birthday on 16 March 2019. In that time it has published well over a thousand reviews and reports. Conrad Liebherr 370 EC-B 12 Fibre Tower Crane review added. WSI Volvo FH4 Flatbed Truck + Palfinger PK 78002 - BA-Perssons review added. WSI Volvo FH4 + Palfinger Hookloader + Asphalt Container - Hakarps review added. NZG Genie S-85 XC Boom Lift review added. Yagao XCMG XR220 Rotary Drilling Rig review added. NZG Liebherr LTM 1250-5.1 Mobile Crane - Felbermayr review added. New Editorial - Nuremberg Toy Fair 2019. Tekno DAF 2800 + Reefer Semitrailer - M. Mooy review added. WSI Volvo FH4 + Goldhofer 6-axle Ballast Trailer - Heijkoop review added. WSI Mercedes-Benz Actros + Scheuerle Intercombi Trailer - Wasel review added. WSI Volvo FMX Flatbed Truck + Palfinger - Mediaco review added. Cranes Etc reviews mainly diecast scale models of lifting, construction, mining and related equipment, and also trucks and haulage, in 1:50 and other scales. Help Cranes Etc to continue providing reviews and reports, and get Rewards for being a Supporter. Visit the Cranes Etc Patreon Page, and take a look on the Fan Page. Cranes Etc does not make or sell new models. To find out where to buy a new model use the Shopping Mall. Sometimes models from the Cranes Etc collection are offered for sale on the Sales Page. To find a model review use the Reviews menu to locate a model by its maker or machine type. Alternatively, try the Search function. New Editorial added: Review of 2018. BSR Concrete Bridge Beams review added. YCC Liebherr LGD 1800 Mobile Crane - Riga Mainz review added. MarGe Volvo FH16 - Red Line review added. MarGe Nooteboom MCOS Low Loader review added. WSI Volvo FH4 + Nooteboom MCO PX 5-axle - AltéAd review added. Diecast Masters Caterpillar 12 Motor Grader Evolution review added. Weiss P&H 4100XPC Electric Mining Shovel (1:160 scale) review added. WSI Volvo FH16 + oldhofer 6-axle Ballast Trailer - S.E Levage review added. WSI Tadano ATF 220G-5 Mobile Crane - Royal Transport review added. Mini-TP-Shop added to the Shopping Mall. WSI Scania R5 + Nooteboom Low Loader - O'Neills review added. WSI Scania Streamline + Broshuis 4-axle Trailer - Karsten V. Olesen review added. Diecast Masters Caterpillar D11T Track-type Tractor - CD review added. Diecast Masters Caterpillar D11T Track-type Tractor - JEL review added. WSI Tadano ATF 400G-6 Mobile Crane - Havator review added. Conrad Terex RT 100US Rough Terrain Crane review added. Cranes Etc is independent of any model manufacturer, original equipment manufacturer or model retailer. Copyright © 2004-2019 Cranes Etc. All rights reserved.